Sedation for medical care has a history that is as old as the written word. The ancient Greeks used mixtures of root herbs and alcohol as sedatives. The Incas used cocoa leaves for their numbing effect. The modern era of sedation for dentistry dates as far back as the 1840’s. William Clarke, a medical student from Rochester, New York, used ether for a tooth extraction in 1842. Hartford, Connecticut dentist Horace Wells used nitrous oxide in 1844, and Boston dentist William Morton held the first public demonstration of ether at Massachusetts General Hospital in 1846. This was the beginning of anesthesia in medicine and dentistry. Finding the right, compassionate healthcare provider. This is important for everyone, but all the more so for individuals who are particularly anxious. Your dentist should listen carefully to you in an accepting and non-judgmental way, and offer assurances that you are in control of the situation at all times. Oral sedation. 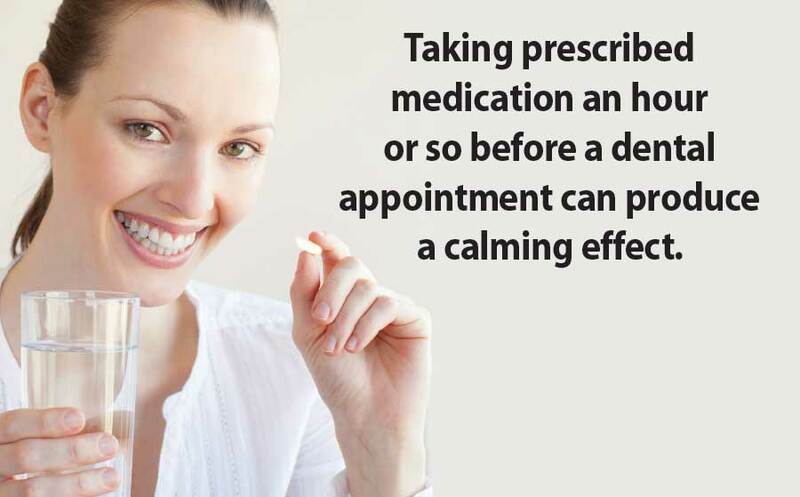 This refers to taking prescribed medication an hour or so before a dental appointment for a calming effect. Oral sedatives can be taken with or without the use of nitrous oxide and local anesthesia. IV or intravenous (“intra” – inside; “venous” – vein) sedation. This is the next level of sedation administered if oral sedation is not enough to facilitate needed dental treatment. In this case, the sedative medication is delivered through a small needle or catheter placed in a vein. IV sedation is similar to the method for drawing blood that was first introduced around 1930 in both the United States and England. The intravenous administration of the sedative Pentothal was pioneered at the Mayo Clinic in 1935. This soon became the most popular drug for IV sedation, and marked the beginning of its use in dental care. Pentothal is a short-acting barbiturate drug; it has fallen into disuse as better, quicker-acting, and safer IV drugs have been developed. Today, IV sedation in dentistry allows a way to provide dental care for the many patients who otherwise would not be able to receive necessary treatment. This includes the estimated 15% of the population who avoid dental care completely due to acute anxiety, and as much as 50% of the population who admit to some level of fear and apprehension when it comes to dental treatment. It also includes those patients who have medical conditions that make it necessary to reduce the level of stress during dental treatment. Those who are considering IV sedation — also known as conscious sedation — for their dental care need to understand that there is a significant difference between it and general anesthesia (unconscious sedation). During general anesthesia, you are completely asleep and cannot be aroused — not even by painful stimulation. General anesthesia requires additional support for breathing, and can alter heart rate and other life-support functions. General anesthesia therefore requires an anesthesiologist to monitor all vital signs including blood pressure, heart rate, and pulse. The anesthesiologist will also make sure that the airway is protected and that the back of the mouth is sealed to prevent anything from going down into the throat or lungs, since the protective cough reflex is not operative during general anesthesia. In other words, it’s a more risky business. During IV (conscious) sedation you are not “asleep” but rather in a much safer and more comfortable “semi-awake” state of reduced anxiety.